Opened in 1966, the commissary building is located at the intersection of Mollison Street and Johnson Road, just off Route 104. The commissary building is one of just two SUNY Oswego non-athletic facilities located on the southern side of Route 104, with the other being the college’s maintenance building. Opened in 1966, the commissary building is located at the intersection of Mollison Street and Johnson Road, just off Route 104. The commissary building is one of just two SUNY Oswego non-athletic facilities located on the southern side of Route 104, with the other being the college’s maintenance building. 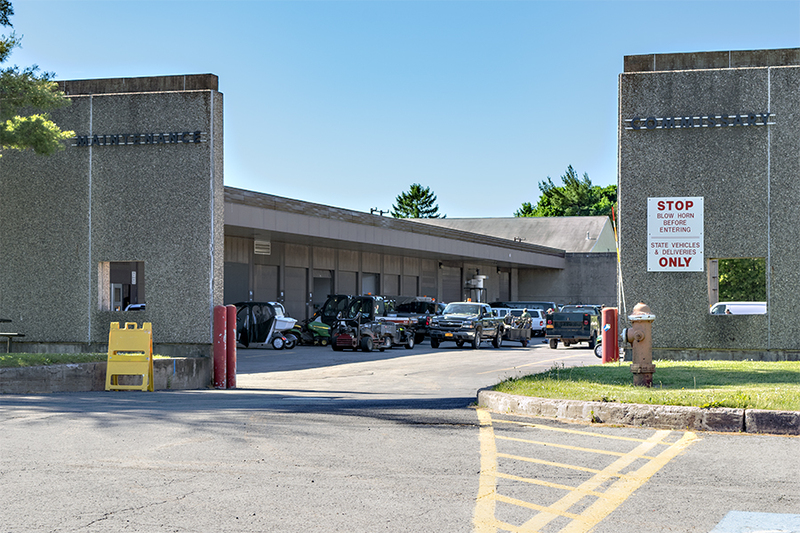 Owned and operated by Auxiliary Services, the commissary building stores a majority of the food supplies before distribution to the various dining facilities and kitchens around the SUNY Oswego campus.